This favourite of all Trans Atlantic sailing adventures. The Atlantic Rally for Cruisers (ARC) is an annual transatlantic sailing event for cruiser yachts held since 1986. 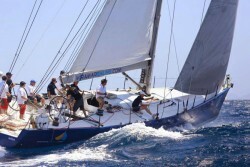 It also includes a sailing competition for racers under the auspices of the Royal Ocean Racing Club (RORC). ARC Direct Event starts on November 25th in Las Palmas de Gran Canaria, with legendary parties and seminars. It ends before Christmas in the Caribbean destination Rodney Bay in Saint Lucia with more parties and prize giving.. 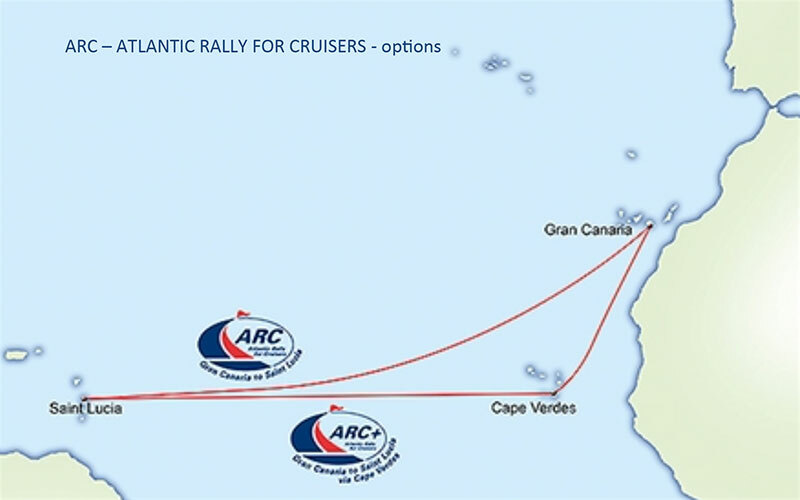 The ARC is the largest trans-ocean sailing event in the world and regularly attracts hundreds of boats of many different shapes and sizes. World Cruising Club was born with the very first ARC in 1986, the first-ever ocean crossing rally, and now helps more than 450 boats and 1200 people to achieve their sailing dreams every year. Many of their rallies are big on fun and big on people, others are more intimate. Whatever their size, the rallies all adhere to the original ethos of safe and social cruising.